The solutions Square offers to small business owners just keep growing. After debuting as a credit card processor in 2009, Square has continued to add a variety of nifty merchant services products. One of their newest offerings is Square for Restaurants, a point of sale (POS) system designed specifically for—you guessed it—restaurants. We’ve come to know Square products for their elegant but simple design and reasonable pricing. So let’s see if Square for Restaurants matches this profile. We’ll evaluate its capabilities and price, plus offer up some alternative restaurant POS systems so you can see how Square for Restaurants compares. What Is Square for Restaurants? Square for Restaurants is POS software. That means it works in conjunction with POS hardware and a payment processor to allow your business to run transactions. 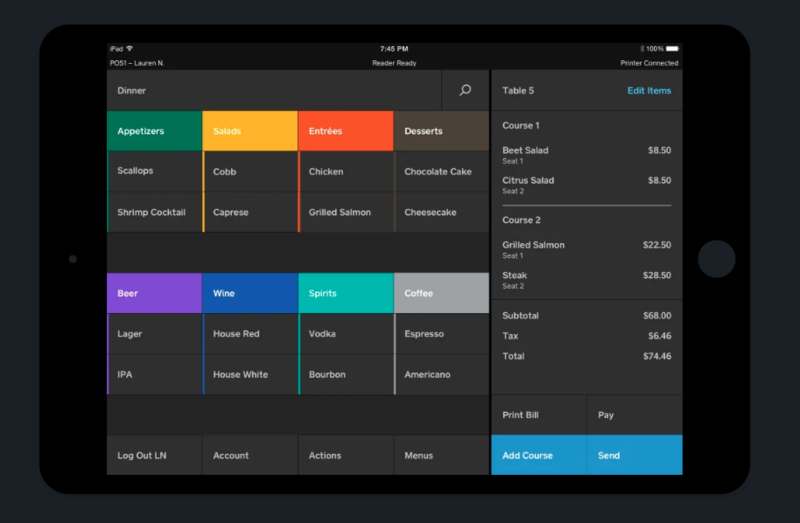 Square for Restaurants’ software has features designed specifically for full-service restaurants, quick-service restaurants, bars, and coffee shops of all sizes. It’s important to know that the software currently only works on iPads, although there are plans to make it available on Android devices. Square for Restaurants is also cloud-hosted, meaning your information is stored on Square’s servers and transferred to your device via the cloud. It can work with or without being connected to the internet. So what does Square for Restaurants look line in action? Let’s find out. To get started with Square for Restaurants, sign up for a 30-day free trial via the Square website. Once your account is registered, download the Square for Restaurants application on your iPad. Square provides a setup guide and video tutorials to help you get started. The most important thing any POS system can do is process credit and debit card payments. With Square for Restaurants, you have to use Square as your payment processor. One thing to keep in mind with using Square is that they aggregate their merchants, meaning all payments from all clients are deposited in one merchant account managed by Square. Although this saves the merchant the hassle of opening their own merchant account, be aware account holds and terminations are more likely with aggregated merchant accounts. If you can manage that, there are many benefits to using Square for payment processing. Square can accept swipe, dip, and contactless payments from all major credit card providers (Visa, MasterCard, American Express, Discover), and funds are typically deposited into your business bank account within 24-48 hours (you can receive your funds instantly for an additional 1% fee). Payment processing is backed by Square Secure, a suite of security tools that includes fraud prevention, PCI compliance, and dispute management. You also get a virtual terminal, which allows you to accept keyed-in payments through a web browser for an increased processing fee of 3.5% + $0.15 per transaction. Finally, Square for Restaurants has a function that allows you to build, invoice, and process catering contracts for a fee of 2.9% + $0.30 per transaction. Square for Restaurants provides thorough menu management options. Using the POS you can create as many different menus as needed, change them depending on time of day, and add pictures and descriptions to help servers. Discounts can also be applied to menu items for things like happy hours and special events. Square for Restaurants offers a variety of intuitive solutions for managing customers and orders. The table-mapping feature in the app allows you to customize your floor plan, assign servers to specific areas, assign orders to specific seats, and stay updated on what tables are available. Ordering is made easier with Square’s conversational ordering feature, which allows the order taking process to be flexible to match the way people speak. Through the POS you can make an unlimited number of modifications and adjustments to each order. Order coursing can also be done directly from the POS, allowing the server to let the kitchen know the sequence in which the customer wants their meal. For customers who are extra hungry, the POS provides updates on how soon a dish will be ready. When it comes time to pay, discounts, comps, and voids can all be applied from the POS. Square for Restaurants also supports automatic gratuity for large parties, e-receipts, check splitting, and refunds. Square for Restaurants allows you to synchronize inventory with your menus to keep track of how much supplies you have in real time across all locations. If and when an item runs out, the POS can automatically update the menu so that out of stock items cannot be ordered. Square for Restaurants provides tools to make managing your restaurant staff easier. Start by setting custom permissions, which gives employees access to different parts of the POS depending on their role or seniority. You can also assign each staff member a passcode to be used to clock-in and out of the POS and track their activity while at work. Checks can be assigned to individual employees for reporting and sales attribution purposes. Also built into Square for Restaurants is a customer relationship management function. Here can you create a directory of the customers who have visited your restaurant, store payment information (with permission), view order histories, and reward customer loyalty with discounts (more on this later). 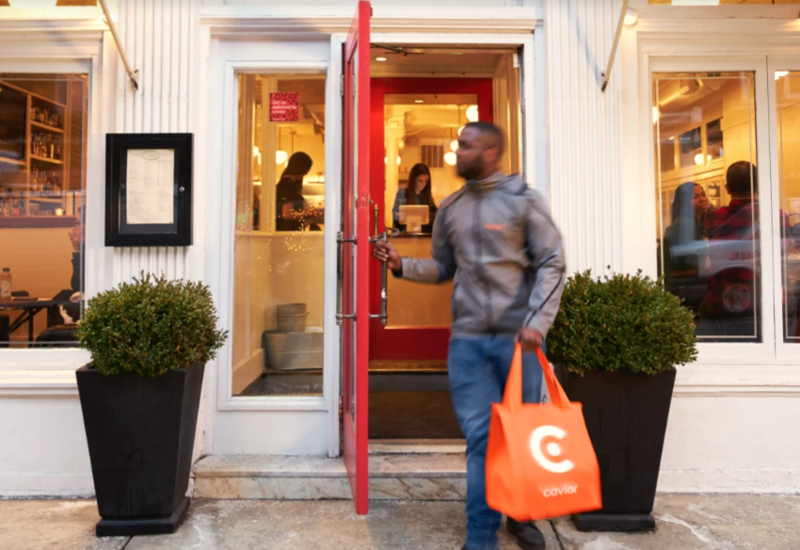 Via a free integration with Caviar, a food ordering app, Square for Restaurants enables users to arrange delivery and pickup directly from their POS. Your POS can also turn off online orders if the kitchen is too busy and track data on your pickup and delivery performance. 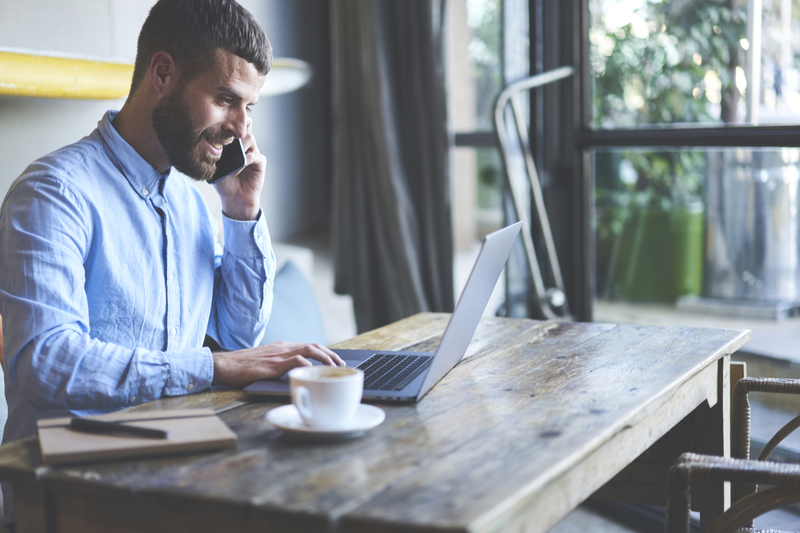 Speaking of data, Square for Restaurants comes with an array of different reports that can provide insight into your restaurant’s performance. Through your POS you can track the number of customers visiting your restaurant by day, week, and month, view the performances of different shifts, learn how your discount programs are impacting your sales, perform labor cost analyses, and more. You can also set up customized reports to track specific metrics. With your account you get access to the Square App Marketplace, which offers a variety of applications that can extend the functionality of your POS. Among your options are applications for accounting, insurance, ecommerce, scheduling, marketing, and more. Square also offers three in-house programs you can integrate into your POS. For an additional $34 per month you can add Square Payroll to your system. This software will synchronize with your POS time clock to track employee hours worked and prepare payroll accordingly. Square Payroll can also distribute payroll via check or direct deposit and handle tax forms. Payroll can be run as many times as needed at no additional cost. Square Marketing works in conjunction with the customer relationship management software in your POS to coordinate and send custom marketing communications and track their effectiveness. This tool costs an additional $15 per month. Square Loyalty allows you to implement a loyalty program into your business by allowing customers to collect redeemable points on every purchase. Customers who opt into your loyalty program can also receive custom communications. Square Loyalty costs $45 per month. Square offers a lot of support when it comes to setting up and operating your POS. Along with the aforementioned setup guide and walkthrough videos, for an additional fee restaurant owners can arrange to have a Square “implementation expert” visit your place of business to install and configure your POS system. Once your system is installed, your implementation expert can train your staff on how to use it. If you ever run into any trouble with Square for Restaurants, Square provides 24/7 via phone, email, or live chat. Square Stand Station: This kit comes with a Square Stand to mount your iPad on, a card reader that accepts swipe, dip, and contactless payments, a cash drawer, receipt printer, and kitchen printer for $1,074.00. Windfall Stand Station: This kit comes with a Windfall Stand instead of a Square Stand for your iPad. You also get a card reader than can accept swipe, dip, and contactless payments, a cash drawer, receipt printer, and kitchen printer for $1,082.00. 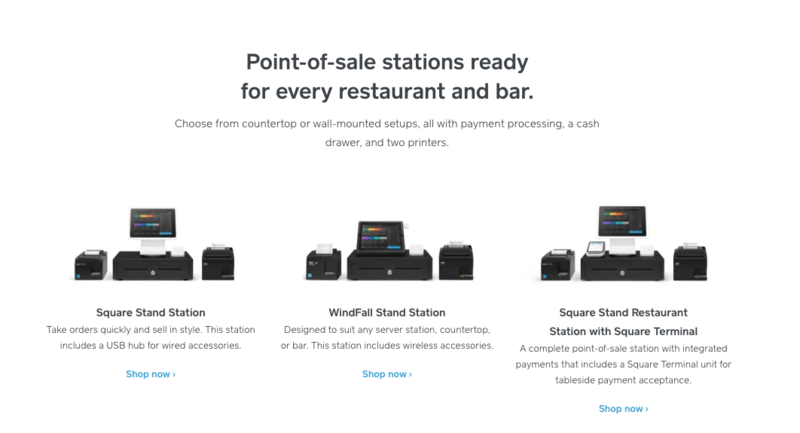 Square Stand Station with Square Terminal: This kit includes everything in the Square Stand Station kit plus a Square Terminal—a portable card reader that can be used for tableside ordering. This kit costs a total of $1,473.00. Note that with all kits an iPad is sold separately, although you can order one from Square for an additional $329. Also be aware that financing is available for those who don’t want to purchase all of their hardware in one go. If you already own some of your own hardware, you can buy individual hardware items from Square to pair with your existing tools. Square for Restaurant’s pricing is very straightforward. Using the software on one POS terminal will cost you $60 per month. Every additional terminal thereafter will cost another $40 per month. Credit card processing rates for in-person transactions using Square for Restaurants is 2.6% + $0.10 per swipe, dip, or contactless payment. Digital payments are subject to a 2.9% + $0.30 per transaction fee. Square for Restaurants does not come with a long-term contract. Simply pay month to month and cancel at any time. In a busy restaurant it counts for a lot to have a POS that is simple to use, and Square for Restaurants fits that bill. All of Square for Restaurant’s interfaces are customizable, down to the size and color of the buttons. Plus, if you ever run into any problems, Square is available 24/7 to help. Relative to other Restaurant POS systems, Square for Restaurants is quite affordable. The monthly software fees are lower than you would pay with competitors like TouchBistro and Toast, and the credit card processing fee for in-person transactions is a generous 2.6% + $0.10. Given that Square for Restaurants only debuted last year, it is not yet widely reviewed. On the sites that don’t have reviews specific to Square for Restaurants, we will provide the general user sentiment on Square POS. Square as a company is generally viewed well across major review sites, which should give you confidence investing in their restaurant POS. Of the users who have used Square for Restaurants, they say the product is easy to set up and start working with and that customer service is responsive and helpful. There are a couple drawbacks with Square for Restaurants. Let’s list them here. Square for Restaurants currently only works on iPads, which could be a drawback for those who already own Android devices. Square plans to make its restaurant software available for Android devices in the future, but for the time being this is a con. General user sentiment on Square for Restaurants is overwhelmingly positive, but the few negative reviews point to bugginess with the software and hardware like mobile card readers breaking down over time. Whereas Square makes a restaurant version of its POS, Toast makes a POS designed specifically for restaurants. What this means is you will get more in-depth features, like greater menu customization and inventory and customer relationship management options. Toast also comes with a loyalty program built in, whereas you have to pay extra with Square. The price of Toast POS is $79 per month for the software. As far as credit card processing fees, Toast says it will work with merchants to make up a rate that works for their business. Another widely used restaurant POS is Aloha POS. Prices for Aloha are entirely quote-based, but they do offer a range of features that rival both Toast and Square, including multi-location management options, tip sharing, HR tools, and a built-in gift card program. Furthermore, Aloha’s ubiquity in the restaurant industry makes it a popular option amongst servers and chefs. Is Square for Restaurants the Right POS for Your Business? All in all, we feel most restaurants, bars, and coffee shops could thrive with Square for Restaurants. It’s easy enough to use that your staff won’t get slowed down working with it, and it’s cheap enough that it won’t make a big dent in your bottom line. Granted, for larger restaurants you may want to use a POS system that caters directly to your needs, like Toast or Aloha, and that’s fine. In the end a good restaurant POS brings a little bit or order to the otherwise hectic business of running a restaurant. We feel Square for Restaurants can do that and a whole lot more.